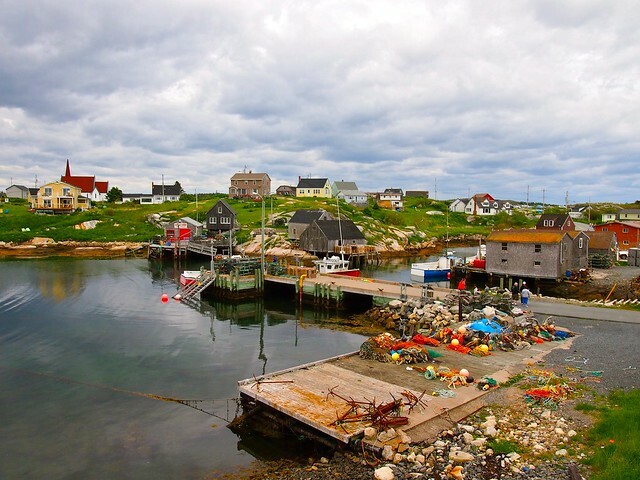 Less than an hour from downtown Halifax, Nova Scotia, lies a tiny fishing village called Peggys Cove. 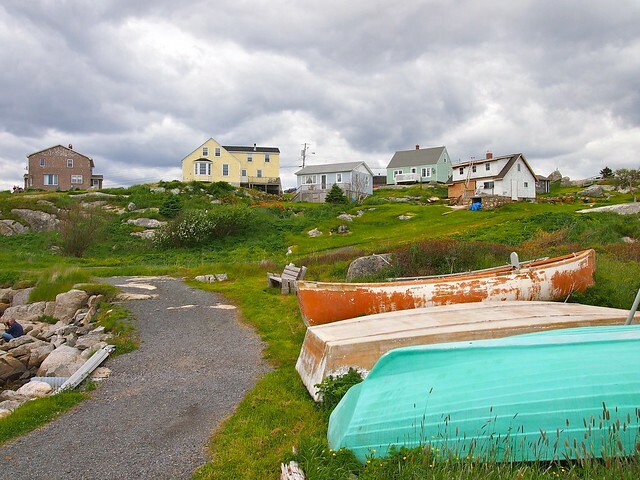 With a permanent population of well below 100, this little village on the edge of St. Margaret's Bay plays host to thousands of foreign tourists during the warm summer months. Well, these photos should explain it all. 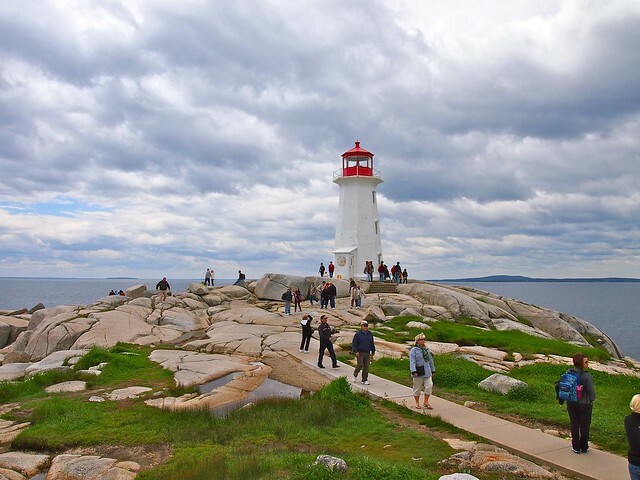 I visited Peggys Cove on a shore excursion from Halifax, which is how a lot of people visit this pretty place. 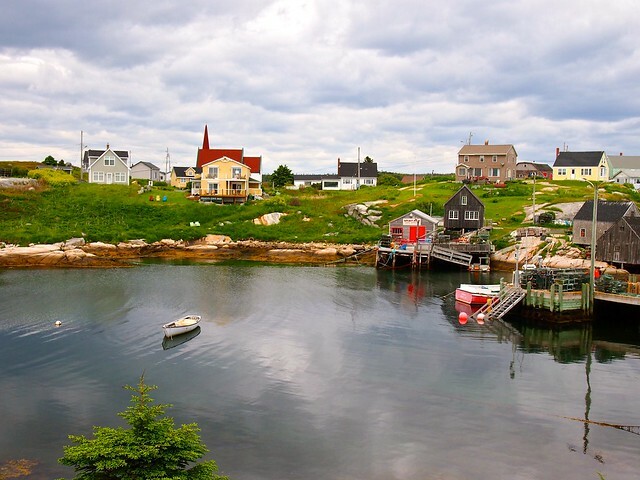 It's less than an hour away from the Nova Scotia capital, making it an easy morning or afternoon trip. 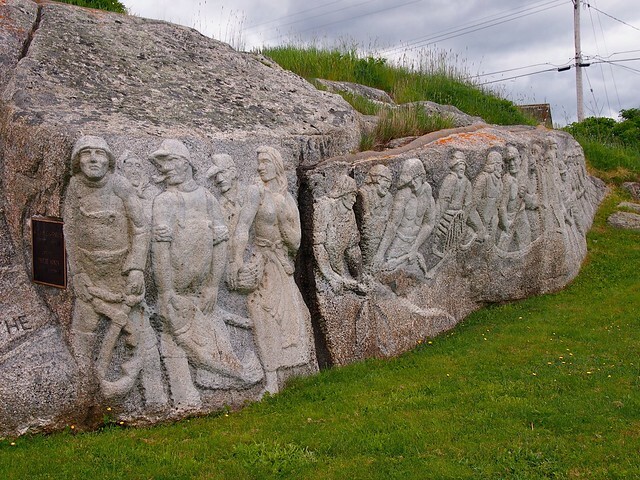 Chiseled artwork made by a former resident. 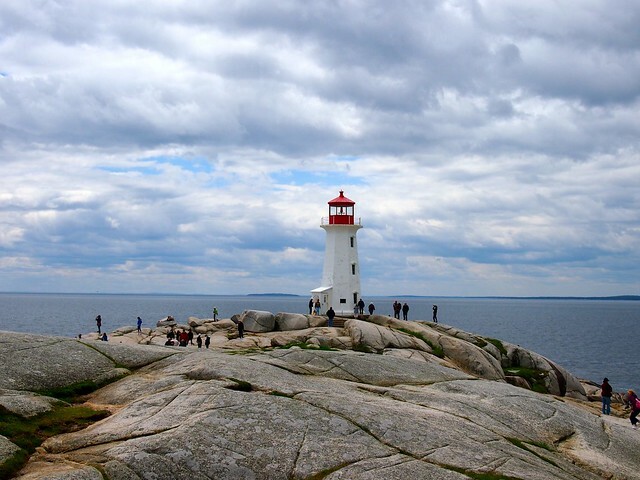 The main reason people flock to this village is to see and photograph the Peggys Point Lighthouse — one of the most-photographed lighthouses in Canada. It sits atop rocks molded and moved by ancient glaciers, which can be dangerous if you're not careful. 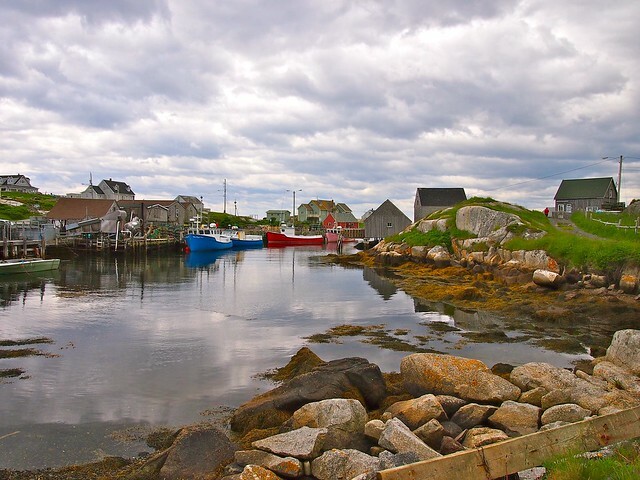 The village of Peggys Cove is said to have been named for the lone survivor of a ship wreck long ago off the coast — a woman or young girl (no one can quite agree on which) who was nicknamed Peggy by the locals who saved her from the sea. For a place so small, Peggys Cove sure left a big impression on me. I think I might be in love. 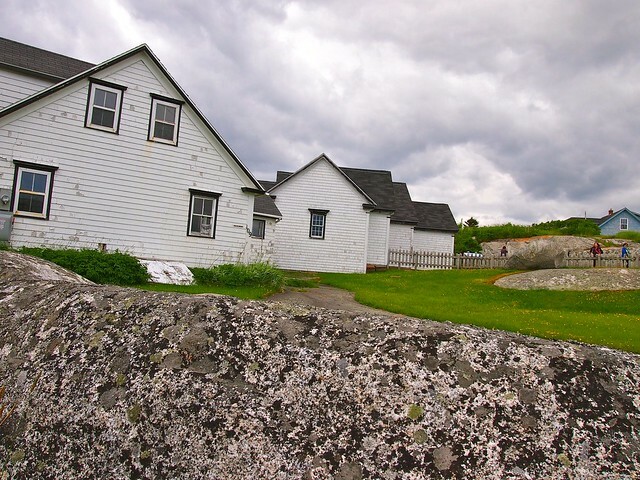 Peggys Cove is located just over 25 miles from downtown Halifax. There's not a whole lot to do here other than wander around the tiny town and see the lighthouse, but as you can see in this post, it's an extremely pretty town to visit! 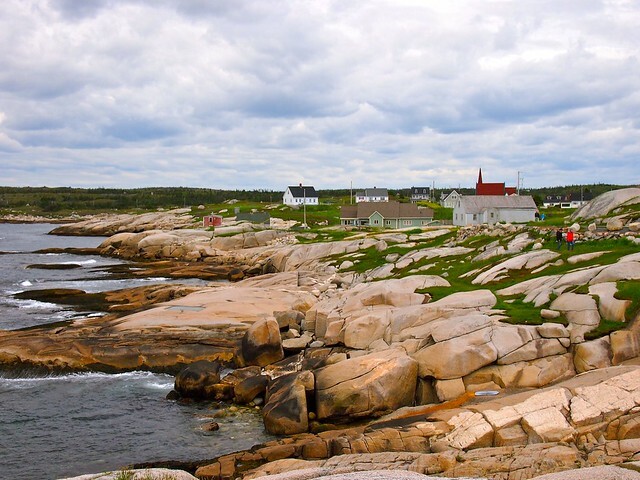 What do you think of Peggys Cove? Would you like to visit? Awesome pics!!! 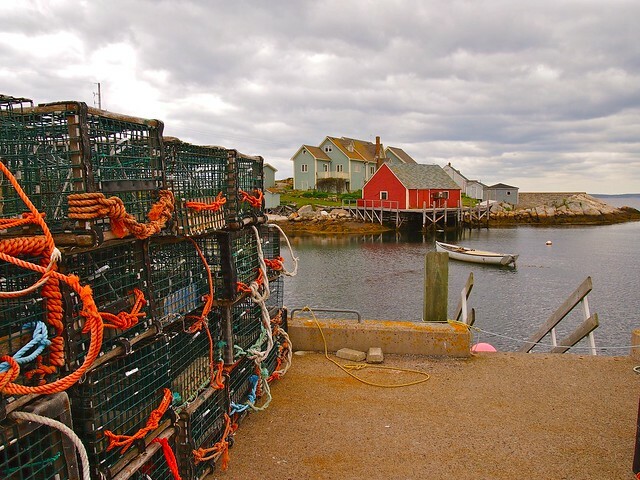 Reminds me of the town of Rockport, Massachusetts, only that instead of a lighthouse, it has the most photographed fishing shack (in the world I think). Fishing shacks are also very cool! 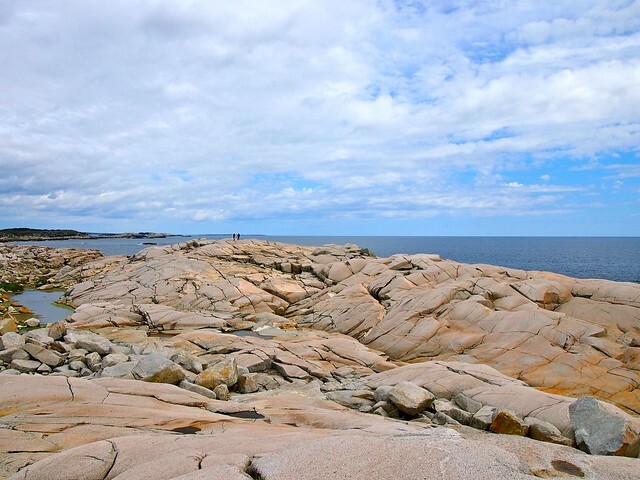 I think I’ve fallen in love with all of New England – we saw so many places similar to this one! Love the photos. 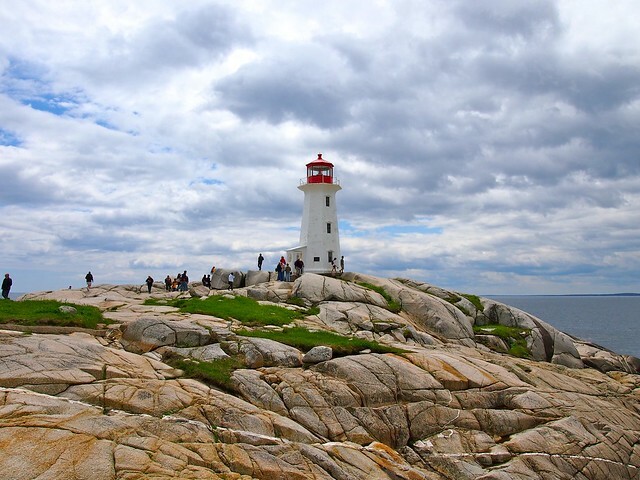 I missed Peggy’s Cove on my trip to Nova Scotia which certainly gives me a good reason to go back. I’m from Halifax, so Peggy’s is kind of in my blood. Your shots are lovely. Difficult to choose a favorite #2. Thank you, Nancie. 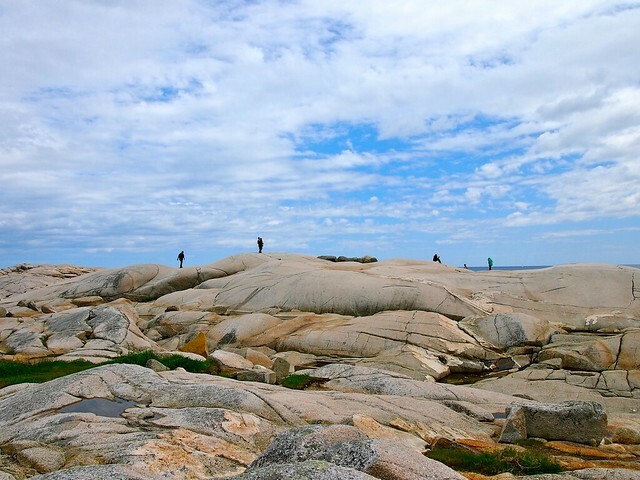 Halifax was lovely as well, but Peggys Cove definitely left an impression on me. So beautiful – truly makes me proud of my country 🙂 I particularly like the penultimate shot! 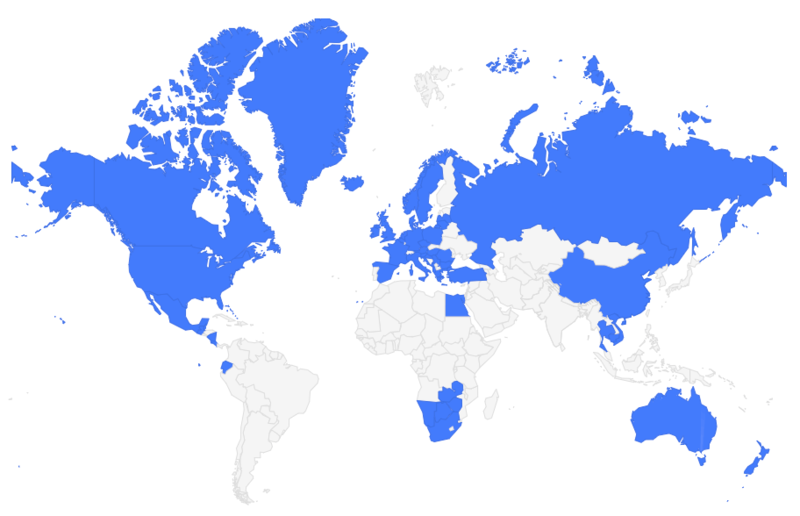 You Canadians have a lot to be proud of! And not enough people realize it! Oh-h! How beautiful this place is! GREAT PICS! Thank you! I’m really happy with how these came out! 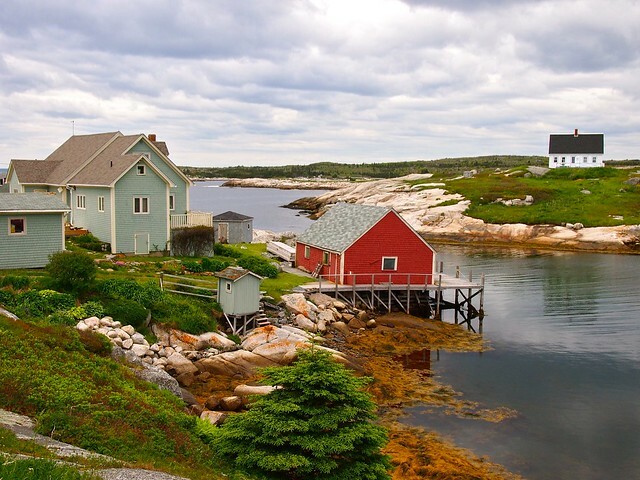 Colourful houses, fishing boats, nets, rocks and a lighthouse – hard to go wrong when it all looks so good. That blue sky helps too. Nice job! Hard to go wrong, indeed. And those clouds were just so perfect for photographing!! I loved it so much. Definitely need to go back again someday! That certainly would be an experience! You got some great shots there. 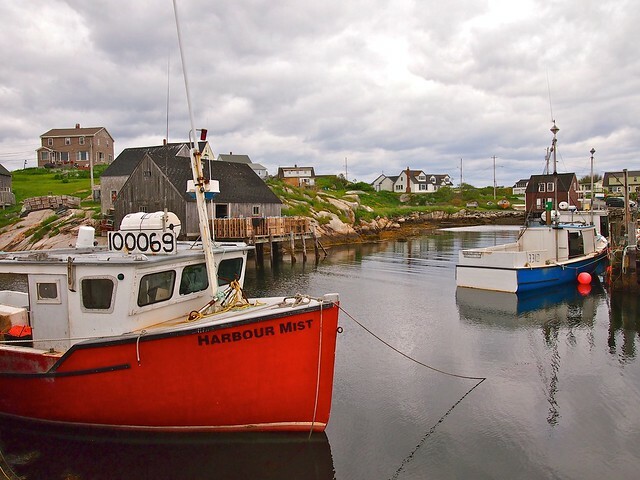 If you like Peggy’s Cove next time come back and visit Lunenburg, another fishing town and it’s really photogenic. Thanks, Ayngelina! Lunenburg was an option to visit, but we unfortunately didn’t have time. I’ll most definitely be back, though! I love these pictures! 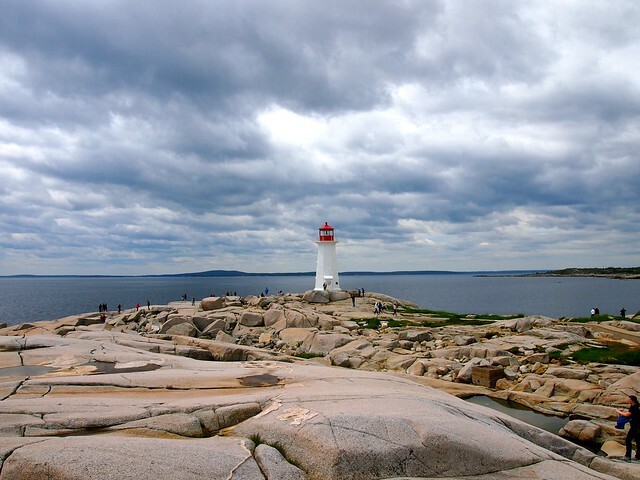 My gradmother sent me a postcard from Peggy’s Cove years ago. I thought it was so quaint and picturesque then, but the postcard doesn’t do your pictures justice. Now I’d really like to see this for myself. Aww thanks for the nice words, Juliann. If you can ever make it to this part of Nova Scotia, do it! Such an awesome slice of Canada. Beautiful pictures. I am drooling to visit it sometime. This city is very drool-worthy. Thanks! And yes, it’s quite a colorful little village. Amazing pics Amanda. I love both the lighthouse and the chiseled artwork! Thanks! I love this collection of photos, too. 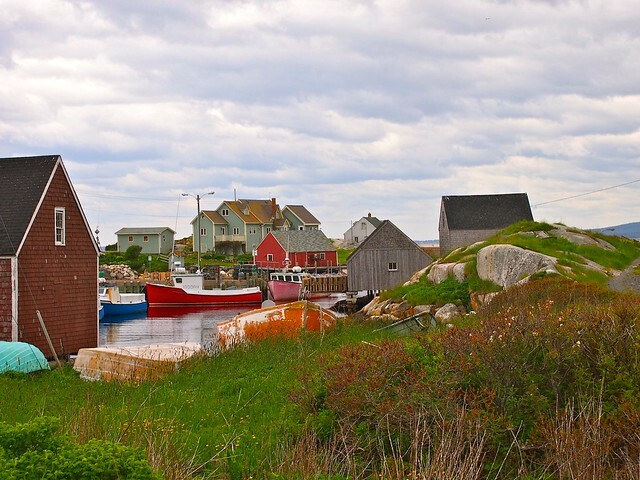 Beautiful pictures of Peggy’s Cove. The first one from Peggys Point fascinates me, it shows how small we are on this planet. Thank you! I really love this collection of photos.